The recent disclosure that the U.S. Department of Energy extended offers of employment to the suspended leaders of the Bonneville Power Administration raises not only eyebrows but ire. It is a mystifying action in need of public accounting. BPA Administrator Bill Drummond and Chief Operating Officer Anita Decker were placed on administrative leave in July as the DOE's inspector general reviewed and found rigged hiring practices at the agency. Drummond was in the top job for only six months, however, and Decker was on loan for a period of time to the Western Area Power Administration. What is unknown publicly is who knew precisely what precisely when, leaving open the question of Drummond's and Decker's potential complicity in breaking federal laws requiring that government agencies show preference to military veterans when hiring. BPA did not. The inspector general documented dozens of cases since 2010 in which military veterans were shunted away from jobs rather than given preference. And BPA was directed to deconstruct 1,200 hires at the agency involving some 22,000 candidates -- a monumental and, likely, unreasonable request that would cost Northwest ratepayers at least $3 million but likely more if recompense of some kind to losing candidates is to be part of the agency's fix. In a source-attributed news story, The Oregonian's Ted Sickinger reported that DOE now extends offers of continued employment to Drummond and Decker. It does so without saying how the executives could lawfully or ethically continue to work for a federal government that was defied by the agency they led. It does so while telling The Oregonian's editorial board that personnel matters are not publicly discussable. This is not okay. DOE's handling of the BPA matter is its own mess. DOE pulled both Drummond and Decker off the job suddenly and without explanation and subsequently, in its inspector general's report, issued an attack so blistering as to leave any reader wondering how BPA got away with so much discrimination for so long. Just as abruptly and without account, Drummond and Decker are invited to stay on with the mother ship. Drummond has a sterling reputation in the energy industry. Decker was widely viewed as a first-rate manager of the agency's operations and was reported to be rectifying BPA's errant hiring practices. But DOE's latest action stumps us: If Drummond and Decker are cleared of having broken federal laws designed to help veterans, shouldn't they be reinstated at Portland-based BPA and told to clean up the agency's mess? Or are we to infer by their possible transfers to another DOE outpost that they while unsuited to resuming leadership at BPA they are otherwise fit for federal service? The latter, an insult to any taxpayer and veteran expecting fairness, should be an impossibility. Separately and in the absence of real information, the mind wanders to the prospect of connivance: Would a Drummond-Decker transfer to Washington, D.C. be DOE's way of finally running BPA from the Beltway? DOE must explain itself. It owes it to Northwest ratepayers to describe BPA's path forward and what role, if any, Drummond and Decker may have in it. DOE also needs to assure Oregonians that Drummond and Decker are unstained by BPA's hiring debacle and what standard it applied in making such a determination. 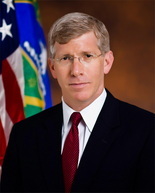 It was worrisome to read in Sickinger's report that DOE's inspector general referred blindly to "senior Bonneville managers" who were aware of the firing of at least one BPA whistleblower and failed to stop it despite a directive from Deputy U.S. Energy Secretary Daniel Poneman not to take retaliatory actions against such employees. At a press briefing last week, Oregon Sen. Ron Wyden said government lawyers were reviewing civil service laws that support federal employee transfers -- a good thing, as such laws undoubtedly contribute to public cynicism about government work as protected. Asked about government executives offered jobs elsewhere within DOE, Wyden declared that any federal employee found "to have discriminated against a veteran ... shouldn't be working for the federal government." That's a promise we'll hold him to. It's a promise, too, that could go a long way toward restoring credibility in our federal institutions -- particularly as DOE steps up to explain its course of action against BPA and its plans for Drummond and Decker.